DJ Matty Mo is a jack of all sounds. With charismatic energy and the attention-grabbing ability to rock the mic between songs as masterfully as he spun the decks, Matt Moriarty, aka Matty Mo, stood out among the many deserving DJs in the 2014 CWMAs. Matty Mo’s rap-heavy spins had everyone chanting his name not only after his own set, but also after the other DJs’ sets. Over the past year, Moriarty has been building a name for himself locally, but he treated his performance at Zest like a platform to officially introduce himself to everyone else in Salt Lake City—and he made his case in a huge way. A passionate snowboarder, Moriarty eventually headed west to chase the snow, spending time DJing and hitting the slopes in ski towns Mammoth Lakes, Calif., and Mount Hood, Ore. 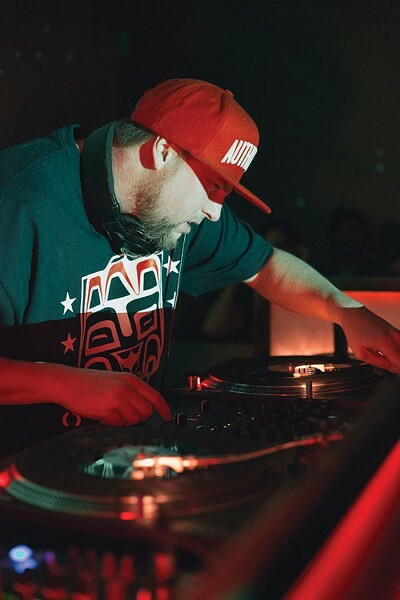 In 2010, he landed in Salt Lake City, where he found an overflow of DJ talent unlike the small-town scenes he was used to in California and Oregon. 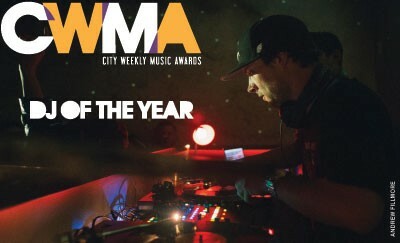 Moriarty has several schemes in mind for his future as City Weekly’s DJ of the Year. Though in past years he’s headed back to Mount Hood to snowboard the non-winter months away, he plans to stick around in Salt Lake City for 2014. That means his night at Willie’s may continue throughout the summer; in the past, it’s typically gone on from fall to spring. Also this summer, you will probably see Moriarty in an entirely different venue: his own food truck. In Mount Hood, Moriarty worked for a food truck called Cobra Dogs, which sells hot dogs, brats and other handheld foods to hungry snowboarders and skiers. The popular business expanded to Park City Mountain Resort in 2010 but closed in 2012.